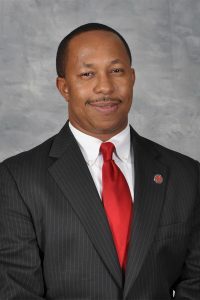 Vice Chairman J. Keith Douglas was elected in a special called election in November 2009 and took office immediately upon winning his seat, becoming the 58th person to be elected as a County Commissioner of Butts County. He was re-elected a year later in 2010 to a full term of office and has since completed his Basic and Advanced Commissioner Certification from the University of Georgia’s Carl Vinson Institute of Government, as well as his Specialist Certification in Intergovernmental Relations. He is an employee of the Georgia Department of Corrections where he serves as a Lieutenant in the investigations division. He stood for re-election in 2014 and again in 2018, to begin his third term in 2019. Commissioner Douglas represents the 4th District and is an active community volunteer who enjoys giving his time freely to work with youth in the 4-H programs of Butts County. He is also an ordained Deacon with Zion Missionary Baptist Church and is active in his church’s programs and community outreach. He has served one term as Vice Chairman of the Board in 2012 and one term as Chairman in 2016 prior to being tapped to serve as Vice Chairman again in 2019. He represents District 4, which includes the the southern part of Jenkinsburg, Shiloh Road, England Chapel Road, portions of Jackson and areas connecting these.